After you pick out your perfect garage door, you will next be concerned with the installation process. If you’re looking for a quality garage door or a repair for your current door, you deserve the best selection and a quality of service rarely seen in garage door providers. Dove Brothers Door Company delivers just that and does so with a dedication to expert garage door service that has made us one of the best organizations in Gardendale, AL. We can make your garage a wonderful part of your home that makes it easier to get in and out of your house whenever you need to. Dove Brothers Door Company provides expert services for people who need new doors, want to repair their current ones, or need professional installation. All of our services come with the guarantee that you will have the best garage door you have ever owned and that it will work well for longer than any other. 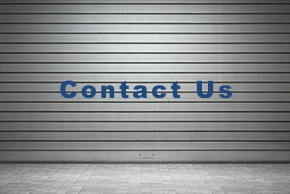 We can handle anything from garage openers to garage door selection. We have a wide variety of garage doors that are customizable and can fit in any house. Our technicians are second to none and are ready to help you get the most out of your garage today. Dove Brothers Door Company will help you tackle any garage service project, no matter how large or small. We let nothing get in the way of helping you out. Our rates are affordable and our service is second to none. If you need expert garage services, you need not look further. We have helped countless home owners get the best garage services possible and you can be one of them too. Call us today.